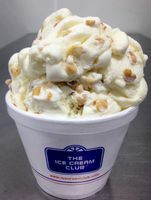 Smooth & delicious No Sugar Added/Reduced Fat Amaretto Almond ice cream packed with salty, butter-roasted almonds. Sweet & salty perfection. 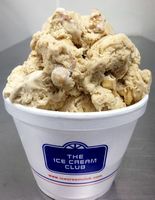 No Sugar Added/Reduced Fat Butter Pecan ice cream loaded with butter-roasted pecans. The absolute best NSA ever!! No Sugar Added/Reduced Fat Caramel ice cream loaded with Butter-roasted pecans & swirled with caramel. Delicious No Sugar Added/Reduced Fat Chocolate ice cream. Strong Coffee No Sugar Added/Reduced Fat ice cream with a river of rich, no sugar added fudge. Strong Coffee No Sugar Added/Reduced Fat ice cream. Coffee lovers indulge! No Sugar Added/Reduced Fat Chocolate ice cream loaded with huge no sugar added chocolate chip chunks. Sweet No Sugar Added/Reduced Fat Maple ice cream packed with large, salty walnuts. Dreaming of a Hawaiian getaway ..... try this tropical No Sugar Added/Reduced Fat Coconut ice cream loaded with macademia nuts. 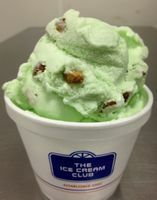 Sweet & creamy No Sugar Added/Reduced Fat Mint ice cream loaded with no sugar added chocolate chip chunks. 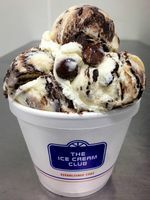 Rich No Sugar Added/Reduced Fat Chocolate ice cream packed with NSA chocolate chips & swirled with a smooth NSA fudge. Our Buttery No Sugar Added/Reduced Fat Vanilla ice cream with NSA peanut butter cups and famous NSA Moose Tracks® fudge......enjoy! No Sugar Added/Reduced Fat Pistachio ice cream packed with salty pistachio nuts. Delicious No Sugar Added/Reduced Fat Cheesecake ice cream in a NSA raspberry swirl.......life is good! 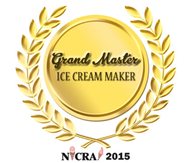 Fruity No Sugar Added/Reduced Fat Red Raspberry Ice Cream swirled with a NSA raspberry ribbon. Creamy, yet fruity No Sugar Added / Reduced Fat Strawberry ice cream.